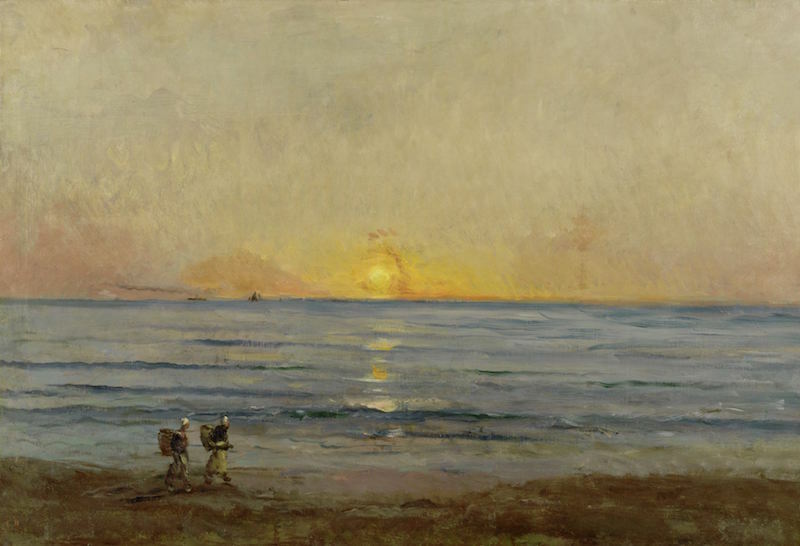 Sam Kitchener reviews the recent exhibition Inspiring Impressionism: Daubigny, Monet, Van Gogh at the Scottish National Gallery. Kitchener writes: "Just how far Daubigny influenced Monet and vice versa is left open to interpretation here. But a startling use, or rather perception, of colour, had long been a feature of Daubigny’s work... Van Gogh’s work during this period – which includes three paintings of Daubigny’s garden – is a logical culmination of certain themes that also occupied Daubigny: an awareness of how the materials through which an impression of landscape is registered become a part of that impression, and the knowledge that if a landscape can only be communicated through an individual’s experience of it, then an individual’s emotions will find their way into that landscape."